We provide the highest quality 3D printing materials such as ABS, PLA, HIPS, PVA, and more. Our filaments are run with tight tolerances. There are no air bubbles or oily residues. Every filament comes loaded on a durable, hard plastic spool, not a cheap, flimsy cardboard spool. ABS, Acrylonitrile Butadiene Styrene, is a favorite filament among 3D printer users because it is light weight and durable. It can be injection molded which makes it perfect for 3D printing extruders. It has a high glass transition temperature to reduce deformation, but it is also low enough to be safely attainable with standard 3D printers. ABS is a hard strong plastic with some flexibility when compared to PLA. It is also soluble in Acetone, and it can be easily sanded and machined. Compatible with RepRap, Makerbot, UP!, Lulzbot, Afinia, Solidoodle, MakerGear, Printrbot LC, and more! Is the spindle hole large enough to fit my Makerbot printer? Yes! Our spindle holes are large enough to fit the Makerbot printers. You don’t have to worry about fabricating a spindle extension any longer. *NOTE, these spools will not fit inside of the new Makerbot 5th generation printer drawers. You can still use these spools and feed the filament directly through the top of the printer. What other colors are available? ABS comes in a variety of different vibrant colors, 30 different options total. *New fluorescent colors are available. They glow under UV light, commonly known as black light. *New color changing filaments are available; the filaments will change colors at 31°C (88°F). The filament is one color below 31°C, and when it is heated above 31°C, the filament will change to another color. *New conductive ABS filament available. The conductive black ABS filament is exactly what the name implies. The conductive filament can be used for anti-static, static dissipative, and conduction of electric current. Do you have a 3D printer and need a quality PLA filament? Do you want to create high precision parts? 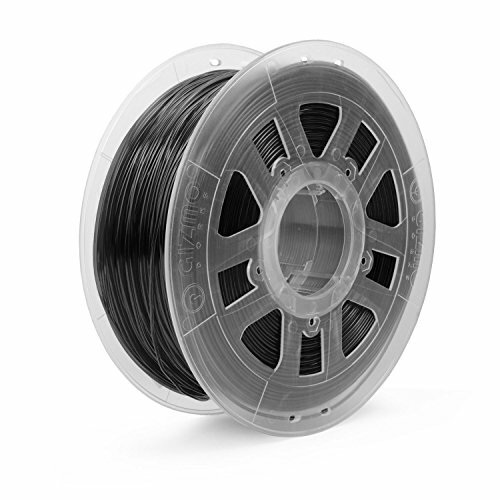 Do you need a strong PLA for your professional projects? Forget about thelow quality and cheap filaments that never get the job done! The Essentium 3D printing filament gives you everything you need for the best price! 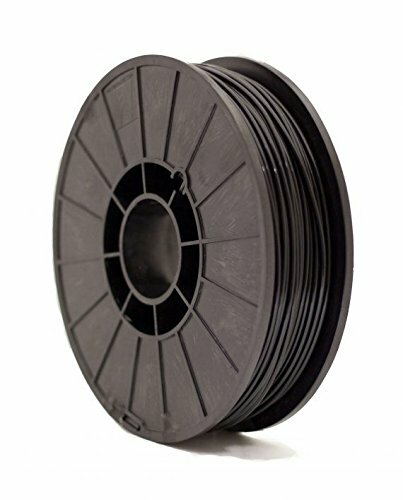 The Essentium PLA filament was specially designed by professionals to get over the usual difficulties of PLA and give you a truly unique and high quality product. The Essentium printing filament is ultra-strong and durable for flawless solid parts printing. It is also heat resistant andit has a high heat deflection temperature stemming and a superior impact resistance. This PLA filament is strong and elastic and it will give you professional grade results, no matter what you use it for! This PLA is very easy to print and it will give you the most amazing results in no time! The filament is very precise for detailed results and it can give you extremely high speeds. With Essentium you can say goodbye to warping! This premium quality filament is essential for everyone that wants to create amazing 3D printing projects. 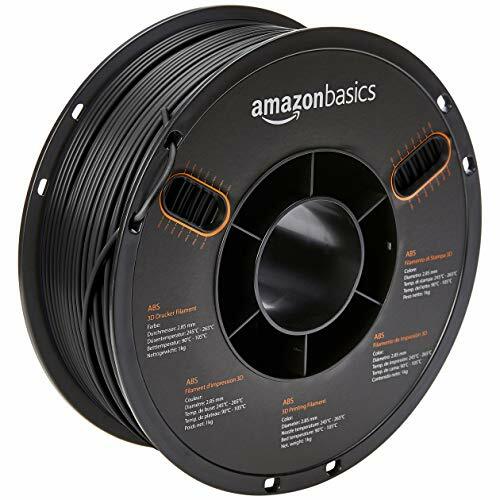 No matter if you are an engineer, a professional manufacturer or just a person that loves DIY projects, this filament is the one for you! Use it for prototyping projects, small run production or art projects and get the perfect results you were looking for. 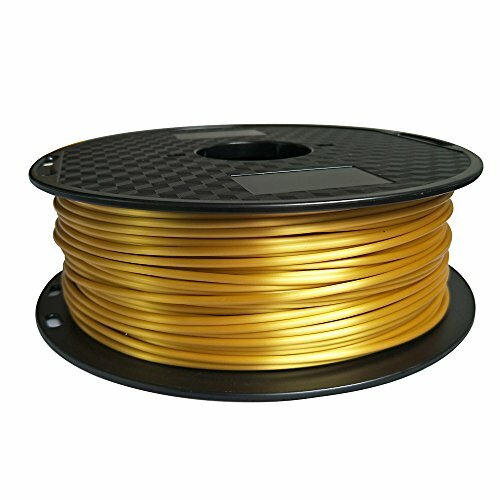 PROFESSIONAL GRADE FILAMENT: This PLA 3D printing filament was developed by a team of material scientists and it is of such a high quality that it is suitable for professional engineering projects.You can use the PLA filament for all your projects, from prototypes to personal DIY projects. MAXIMUM STRENGTH AND DURABILITY: This premium quality PLA filament is extremely strong and durable for perfect results. The filament is great for solid and quality printing of parts that are incredibly strong. The high-strength filament is very easy to print so you can have the best results in the easiest way possible. HIGH PRECISION RESULTS: With this high quality PLA 3D printing filament you will get the most precise and accurate results. The filament has a dimensional accuracy of +/-.05mm so you can get the detailed results you want in the fastest way possible. BEST VALUE FOR MONEY: At Essentium we give you the best quality products while keeping the cost low so you can have the best without spending a fortune! Our professional grade 3D printing filaments are of the highest quality but very affordable so you can use them for all your everyday DIY projects. MADE IN THE USA: All of the Essentium PLA 3D printing filaments are made with pride in the USA so you can rest assured that you’re getting the best quality products! Your satisfaction is our number one priority, so if there is anything you need, we’re here for you! Just let us know, we’ll be happy to help you.